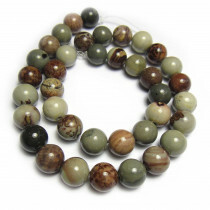 A truly stunning stone with mixed markings and various colours. 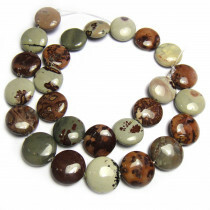 Earthy browns and reds, soft mochas and green-greys makes for a gorgeous piece all on it's own. 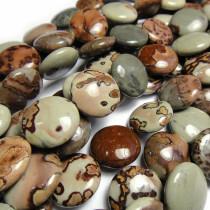 Coffee Bean Jasper is also known as Paintbrush Jasper, Chinese Picture Jasper, Variegated Jasper and Artistic Jasper. 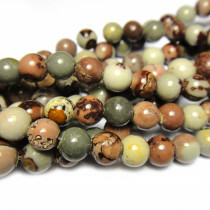 Believed to balance intellect, emotions and physical states. 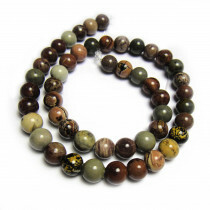 It's a stone of stability, calm, grounding and protection. 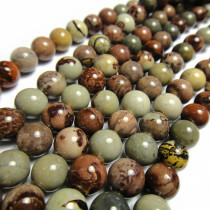 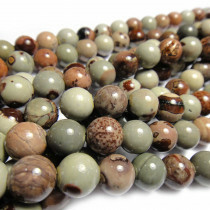 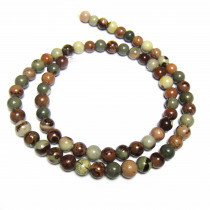 Coffee Bean Jasper 6mm Round Gemstone Beads (~66pce Strand) - 40cm/16'" Strand.